Andromeda's Fall written by Abigail Owen is an heart throbbing Adult Panoramal Romance fiction that has been released on 25th February 2014 and is going great guns all across the globe. So if you are 18+, believe in love, trust in romance and like to read Adult Panorama; this book is definitely for you to grab and delve into. Abigail Own is an award-winning author who was born in Greeley, Colorado. Later she moved to Austin, Texas. Currently Abigail lives in Northern California and her husband and two lovely children around whom her whole world revolves. Addiction to books was quite apparently visible very early. She gradually grew a passion to explore the world around her by means of her writing, which grew powerful with each page she wrote. Imagination is a superb tool she has acquired to make her stories stronger and interesting. 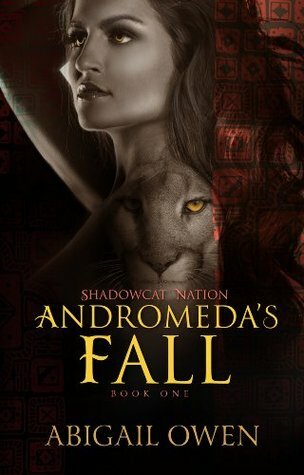 The story of Andromeda’s Fall written by Abigail Owen is about Andie Reynolds, the lead character of her story. Andie gets hurt by the brutal and violent death of her mother at the hands of some arrogant bunch of wolf shifters. She generates a huge amount of courage in herself so as to come out with a singular motive of saving her cougar shifters community to avoid them meeting the same end as her mother’s. Somehow her mission gets weakened when she has to fight with herself so as to stay away from Kyle Carstairs. But at this juncture both situations seem painful and unavoidable to Andie. With very few possibilities in hand and with no time left to think much, Andie decides to risk her own life rather than of someone she loves more than her; and takes a call to fight against all odds.